David Tennant attended the London screening of his movie Mad To Be Normal followed by a Q&A panel at 12.30pm on Sunday 9th April. The event was at Curzon Cinema in Aldgate which is located at Goodman's Fields, 4 Canter Way, London, E1 8PS. The nearest tube is Aldgate East. The event at the 400 seater cinema sold out in a matter of hours so consequently another screening was added at 3.25pm. 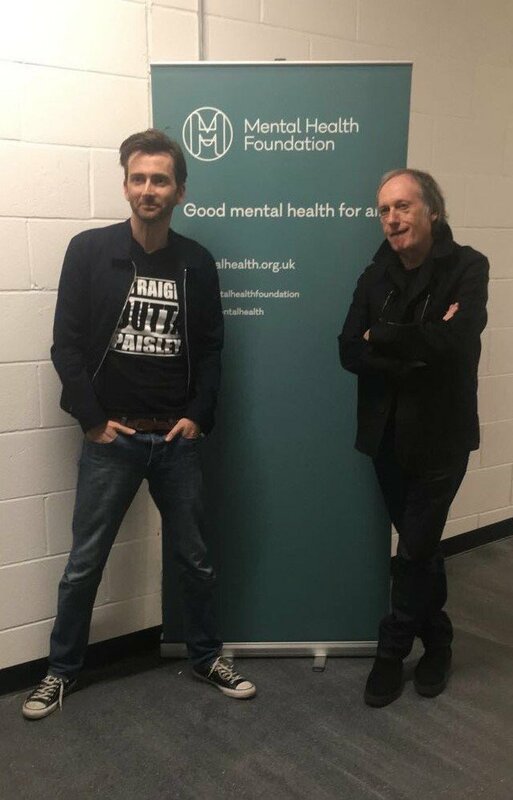 David attended the extended introduction into that screening. Link to posts related to David Tennant at the Mad To Be Normal London screenings on Blogger.com (usually with more details).